In early 2017, a consortium made up of AT&T, DISH Network L.L.C., and WPP acquired INVIDI Technologies. INVIDI continues to operate independently, with each company represented on INVIDI’s board of directors. AT&T holds controlling interest in the venture. AT&T Inc. (NYSE:T) helps millions around the globe connect with leading entertainment, mobile, high-speed internet and voice services. They are the world’s largest provider of pay TV with customers across the U.S. and in 11 Latin American countries. They offer the best global coverage of any U.S. wireless provider. * AT&T helps businesses worldwide serve their customers better with their mobility and highly secure cloud solutions. 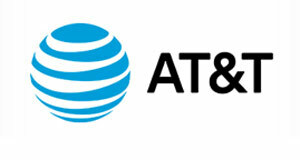 Additional information about AT&T products and services is available at about.att.com. Follow them on Twitter at @ATT, on Facebook and YouTube. WPP (NYSE: WPP) is the world’s largest communications services group with billings of US$73 billion and revenues of US$19 billion. Through its operating companies, the WPP Group provides a comprehensive range of advertising and marketing services including: advertising & media investment management; data investment management; public relations & public affairs; branding & identity; healthcare communications; direct, digital, promotion & relationship marketing and specialist communications. The company employs over 200,000 people (including associates and investments in over 3,000 offices across 113 countries. For more information, visit www.wpp.com. WPP was named Holding Company of the Year at the 2017 Cannes Lions International Festival of Creativity for the seventh year running. WPP was also named, for the sixth consecutive year, the World’s Most Effective Holding Company in the 2017 Effie Effectiveness Index, which recognizes the effectiveness of marketing communications. In 2017, WPP was also recognized by Warc 100 as the World’s Top Holding Company for the third year consecutively.